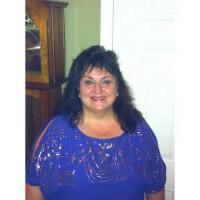 I love to create, being surrounded by such beautiful scenery has inspired me. I also love making ordinary items into extraordinary items. Part of the beach babies series ..
On da Rocks. Acrylic on canvas. 16 x 20 in wooden frame. 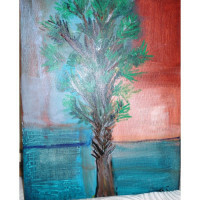 ..
"Palmetto dusk" acrylic painting by local artist Sharon Blozen Lassiter in Mt. Pleasant, SC. 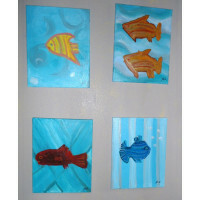 ..
"One Fish,Two Fish, Red Fish, Blue Fish" 4 painting set all 11" x 14" by local artist Sharon Bloz.. 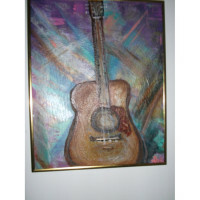 Guitar on multi colored background ..
Part of the Beach Baby series "The Family" ..